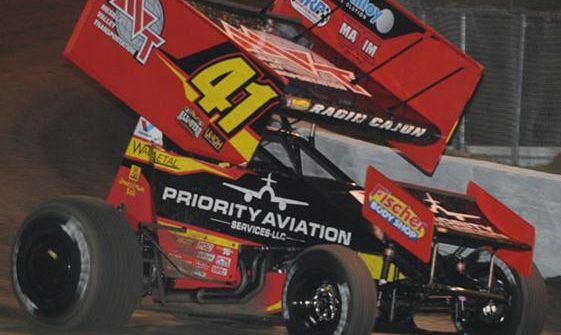 Jason Johnson dominated the 24-car field Wednesday night, winning The World of Outlaws Craftsman® Sprint Car Series’ inaugural stop at El Paso County Raceway. Johnson led all 40 laps to take home the $10,000 purse. 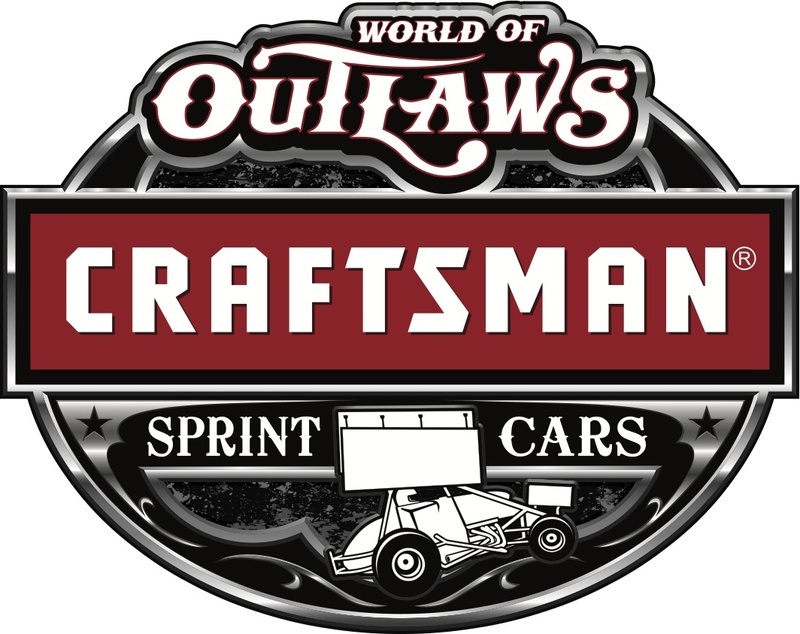 With the 25th anniversary of Craftsman Club right around the corner this October, the World of Outlaws Craftsman Sprint Car and Late Model series are amping up the celebration with the addition of the Craftsman Club Fast-Five Contingency Program. 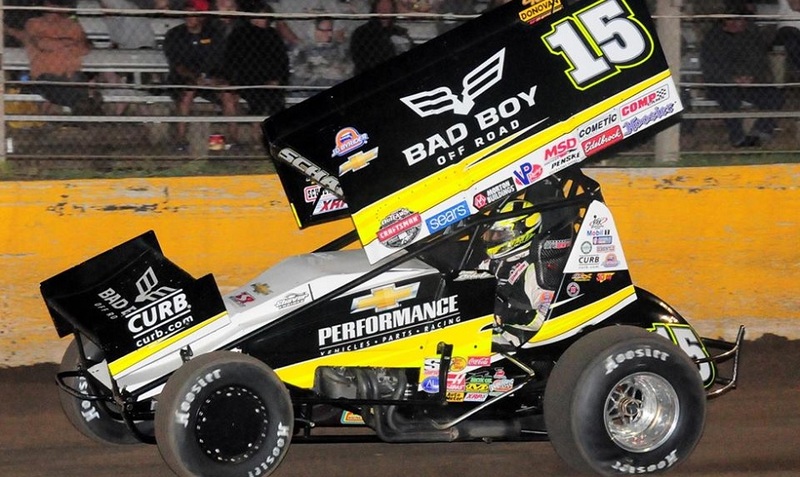 Donny Schatz did not make it easy, but David Gravel proved up to the task as he battled to his fifth World of Outlaws Craftsman Sprint Car Series victory of the season in the 25th annual Don Martin Memorial Silver Cup at Lernerville Speedway on Tuesday night. 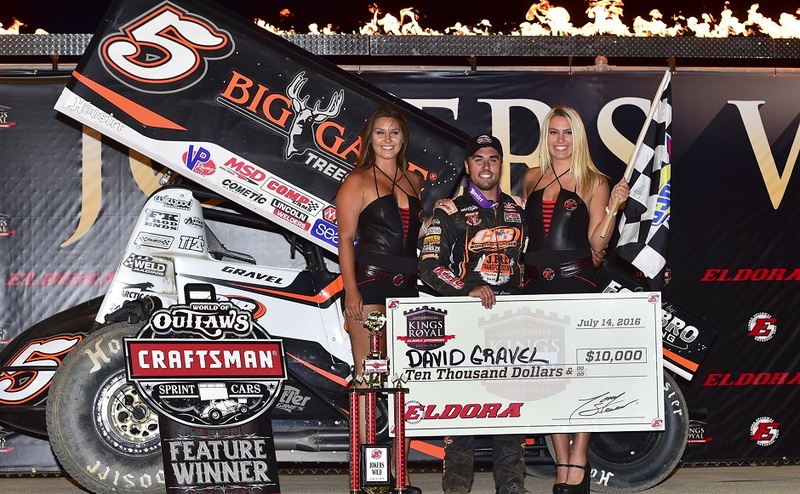 David Gravel had his hands full through much of Thursday night’s inaugural Jokers Wild at Eldora Speedway, but the 24-year-old driver held tough and scored his fourth World of Outlaws Craftsman Sprint Car Series victory of the season. 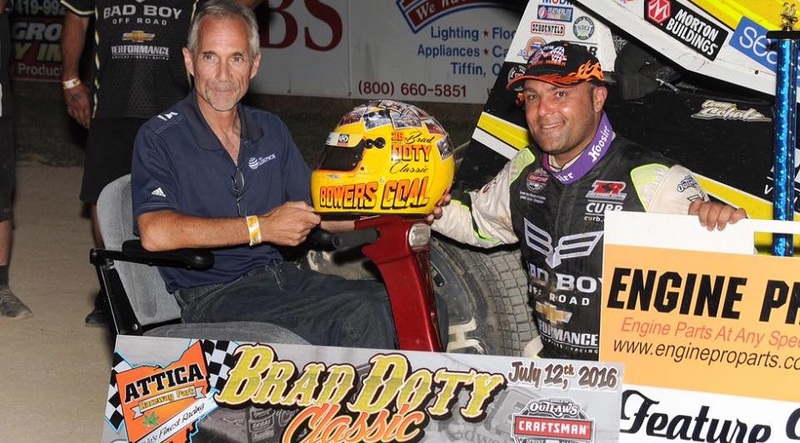 In a battle between the All-Star Circuit of Champions and World of Outlaws Craftsman Sprint Car Series, Donny Schatz charged forward to score his 14th Outlaws victory of the season during Tuesday night’s Ohio Logistics Brad Doty Classic at Attica Raceway Park. The Don Martin Memorial Silver Cup at Lernerville Speedway celebrates its 25th anniversary in 2016 with a return to its historic single-feature format. 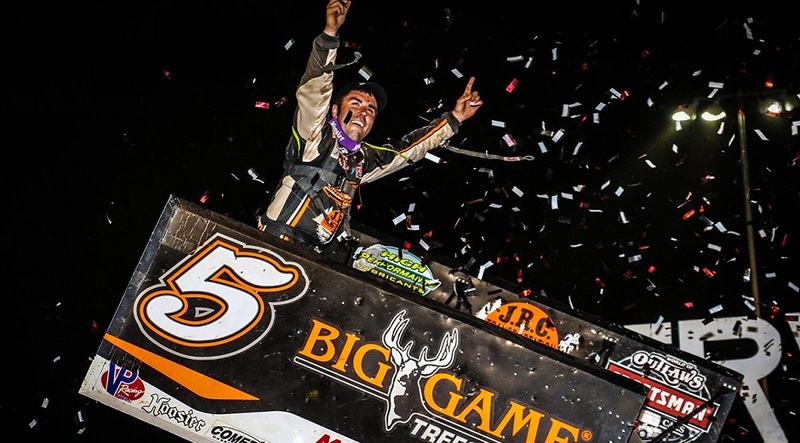 Donny Schatz and Brad Sweet battled throughout much of Saturday night’s FVP Outlaws at Cedar Lake feature at Cedar Lake Speedway, but Schatz held tough to score his 13th World of Outlaws Craftsman Sprint Car Series victory of the season. Brad Sweet led early and led often at Badlands Motor Speedway on Saturday night, finding luck and persevering to score his seventh World of Outlaws Craftsman Sprint Car Series victory of the season. 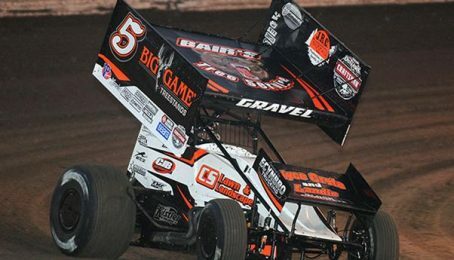 David Gravel has been the most consistent driver in the month of June with the World of Outlaws Craftsman Sprint Car Series. NAPA Auto Parts will be the title sponsor of the World of Outlaws Craftsman Sprint Car Series event at I-80 Speedway in Greenwood, Nebraska on June 22. 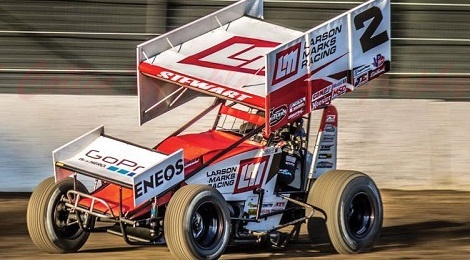 The World of Outlaws Craftsman Sprint Car Series returned to Brown County Speedway for the first time since 1985 on Sunday night, with Shane Stewart starting on the pole and leading wire-to-wire to claim his fifth checkered flag of the season. 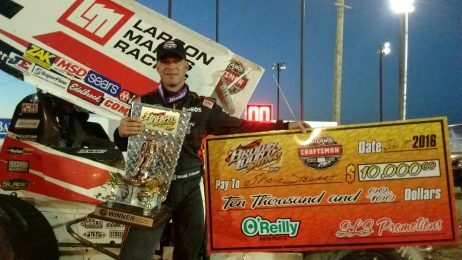 Shane Stewart proved to be as solid as a rock Wednesday night at Granite City Speedway, battling past Kerry Madsen and holding off Brad Sweet to win his fourth World of Outlaws Craftsman Sprint Car Series feature of the season.